Happy birthday to Literary Man Charles M. Schulz, creator of Charlie Brown, Snoopy, Linus, and friends. We love the honesty and humor that Mr. Schulz crafted in the poignancy of his written language. 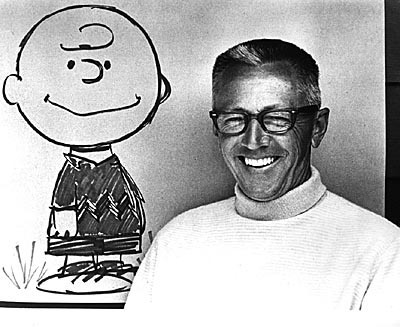  Archived in Iconic Literary Men and tagged cartoons, Charles Schulz, Charlie Brown, Peanuts. Bookmark the permalink.